Hurricane Irma, the first Category 4 storm to impact Florida in more than a decade, made landfall in Miami one year ago on Sept 10. 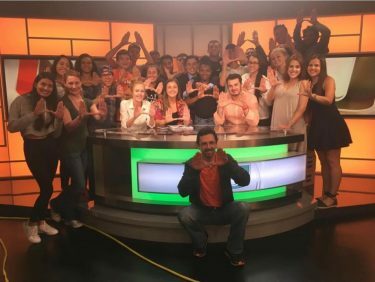 In the months since, the University of Miami has striven to recover from the physical and financial burdens of the storm and implement policy changes for the upcoming hurricane season. Though close to 2,000 tons of debris were left in Irma’s wake, the campus was fully cleared by the time students returned to campus three weeks later. Not so easily rebounded from, Shpiner said, is the financial strain left on the university. The storm cost the state of Florida $19.4 billion and left the university thousands of dollars behind as well, though an exact number has not been released yet. UM is currently seeking reimbursement through the Federal Emergency Management Agency, though the process could be slow, Shpiner said. “It’s historically something that takes years to work through because there’s a lot of layers of government that come with that,” he said. On top of money lost to repairs and maintenance in the aftermath, the university faces costs incurred from delays in the forthcoming Student Housing Village project, which was recently pushed back a full year. Construction crews were forced to halt work on the site while the city evacuated, and had to redo foundation work torn up in the hurricane-force winds. The Emergency Management team typically starts planning for hurricane season in March, Shpiner said, but it’s been “nonstop work” since Irma this year. “We conducted a comprehensive after-action process that’s something that comes with any type of large-scale emergency, and we look for both big and small opportunities to make those policy changes,” he said. The biggest change for this season: an increased evacuation window before a storm hits. The university will now issue evacuation orders 72 hours ahead of the predicted landfall, 12 hours more than the university’s previous policy and one full day ahead of Miami-Dade County.